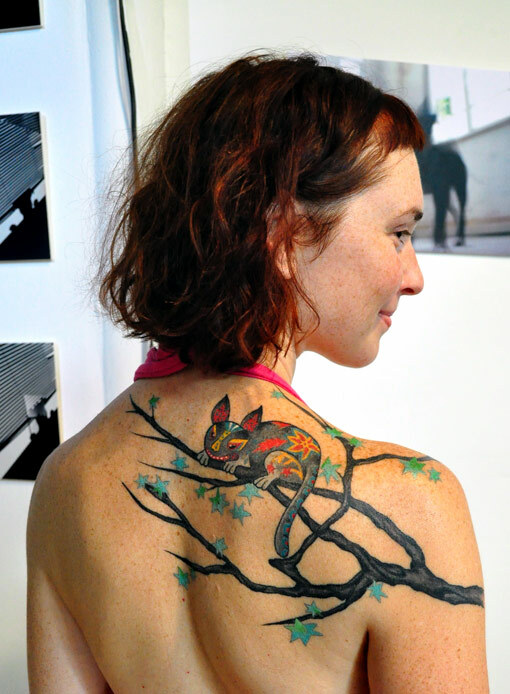 Exactly two years ago I wrote about Kseniya, who made a tattoo with one of my monsters. Two years later, after her son was born, Kseniya asked for another monster sketch. — Two kids — two monsters, — explained Kseniya. — One for my daughter, one for my son. 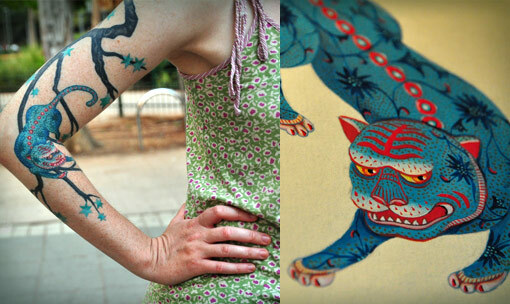 Few months ago I was asked to design a tattoo based on my art by a young woman Kseniya. I never did it before, but was curious to try. I asked Kseniya, which work she likes the most and she answered she loves the trees and the black monster from a small work «Of course he is mad, too» I made for a Japonaiserie exhibition. So I translated it into a tattoo sketch. Yesterday I finally met Kseniya and could see myself the final result, beautifully recreated by excellent studio Vision Tattoos.